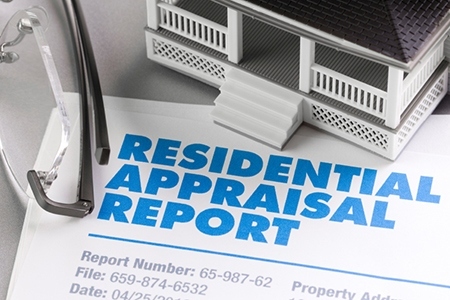 Detroit-based Quicken Loans recently reported the difference between appraiser and homeowner perceptions continued to increase for the fourth consecutive month in May. Appraiser opinions of home values were 1.15 percent lower than homeowner estimates, according to Quicken Loans’ national Home Price Perception Index (HPPI). This is the first time in 22 months appraisal opinions were lower than homeowner estimates by at least 1 percent. Home values continued to steadily climb nationally, and in many regions of the country. The national Home Value Index (HVI) increased 0.24 percent in May from its April level, and rose 4.64 percent since the previous May. Quicken Loans’ exclusive look at the gap between the perceptions of appraisers and homeowners showed the difference of home value opinion continued to widen on a national level. Appraiser opinions of home values were 1.15 percent lower than homeowner estimates according to May’s national index. This is a larger gap than in April, when the national index showed appraiser opinions 0.69 percent lower than homeowner estimates. Despite the widening perception gap at the national level, appraiser opinions remain higher in the majority of the metro areas examined. Home values were slightly higher in May according to the Quicken Loans HVI, posting a 0.24 percent increase in the national index when compared to the month prior. Annual growth remains strong, showing a 4.64 percent increase. This same theme played out in the majority of the country, with exceptions in the Northeast, which only demonstrated a 0.90 percent annual increase. For more information, visit Agent.QuickenLoans.com or call (866) 718-9842.